It’s one thing to have an idea – it’s totally something else to have the courage to take that idea and the heart to turn it into something great. Then it hit him, what if he could create a fast-paced game that would engage the student while at the same time incorporate the techniques and language of Wall Street. “Future Traders” was born. Andrew’s hugely popular first prototype game consisted of only hand-written index cards. In 2017 Andrew met associate English professor, Kevin Moberly. Kevin has a background in game design and was an ideal choice for project advisor. Kevin quickly realized the game’s potential and signed on as a partner. With Kevin’s input the old index cards have been replaced by colorful playing cards. In each round students experience the thrill of being on the Trading Floor while learning the language and math needed to succeed. Fast-paced, highly interactive, Future Traders is a game that students can’t seem to get enough. 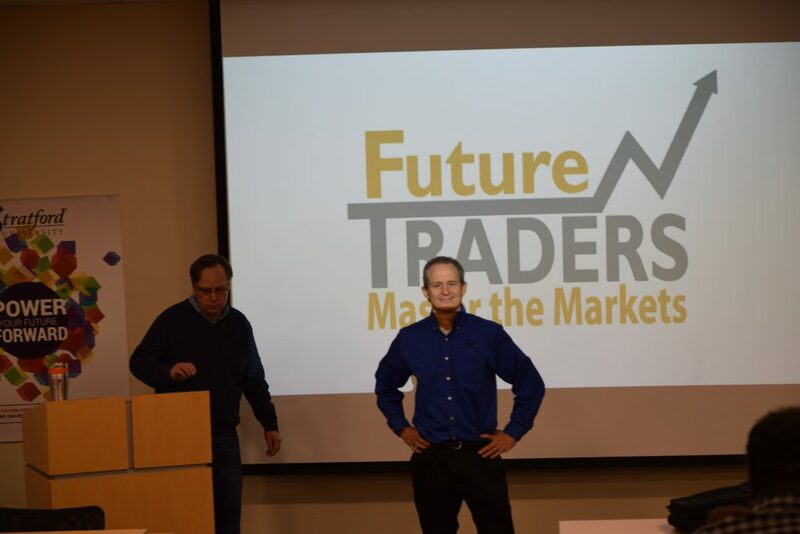 Next up, our intrepid entrepreneurs want to design and publish a Future Traders app. To make this reality they have solicited the support of the ODU Strome Entrepreneurial Center, ODU Center for Enterprise Innovation and various resources within the University. Andrew and Kevin even taking the show on the road by embarking on an ambitious schedule of pitching their idea to potential partners and investors. 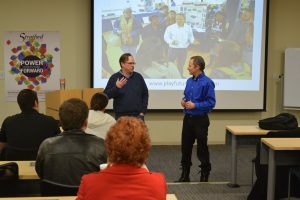 In just four days they will have competitively pitched at 757Pitch, 1 Million Cups Virginia Beach and ODU Lion’s Lair Innovation Competition. Proving that they truly have the heart of the entrepreneur. Previous: Previous post: Full Belly Delights, LLC Takes Home the Bacon!